The following is a partial list of valleys in India, listed alphabetically. Many of these valleys in India are named after the river that flows through them. 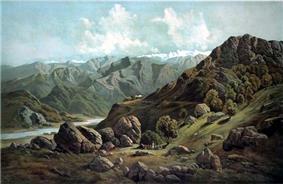 Sutlej Valley from Rampur, ca. 1857.